The healthcare industry is projected to grow by 19% between 2014 and 2024, adding approximately 2.3 million jobs and expanding at a much faster rate than the national average. This stability and opportunity for advancement have made healthcare an increasingly popular career choice. If you are a student trying to decide upon a path to follow or an established professional looking to make a change, medical billing and coding may be right for you. Both of these roles are great for individuals who thrive in administrative environments and want to work in healthcare but don’t find themselves drawn to direct patient care. Simply put, medical coders translate patient care services into a specific set of codes according to the CPT®, ICD-10-CM, and HCPCS Level II classification systems. This information is then used by medical billers to create and submit a claim for reimbursement from an insurance provider. Because medical billing and coding are so closely related, many healthcare facilities and physicians’ offices hire a single employee to handle both duties. However, each role’s responsibilities require different training and knowledge. Before pursuing either option, you must compare and contrast medical billing vs. medical coding to better understand the distinction between the two positions. Read on to learn more about these vital medical administration jobs, including the difference between a medical coder salary and a medical biller salary. Medical coders are the keepers of patient information, and they are accountable for safeguarding this data to protect their employers from regulatory violations and fraud. Comprehensive knowledge of the content stored in health records is required to excel as a medical coder, and many professionals complete additional training in anatomy or physiology so that they may better recognize symptoms/diagnoses to translate illnesses and treatments to standardized code. A medical coder salary can vary greatly depending upon which credentials an individual holds. For instance, according to AAPC’s 2015 salary survey, a Certified Professional Coder (CPC) can expect to earn an average wage of $51,454 as opposed to $58,822 for those holding the Certified Outpatient Coding (COC) designation and approximately $55,000 for Certified Inpatient Coders (CICs). Overall, the AAPC states that certified coders make 40% more than their non-credentialed counterparts. Beyond filing claims, a medical biller’s core responsibilities include contacting patients to obtain or confirm account information, verifying the accuracy of billing data, and compiling/reviewing medical records to calculate fees and charges. It’s common for medical billers to manage delinquent accounts and maintain related financial reports. According to Payscale, the median medical biller salary is $35,613 per year with the top 10% of billers earning upwards of $46K. Certification is not required to become a medical biller—most have postsecondary training in the form of education certificates or associate degrees—but the American Medical Billing Association (AMBA) does offer the Certified Medical Reimbursement Specialist (CMRS) designation, which is attractive to many employers. As you compare medical billing vs. medical coding and decide which path to follow (or choose to pursue a career performing a mix of both duties), it’s important to keep in mind that medical administration jobs all require keen attention to detail and continuous study to ensure that you remain knowledgeable in healthcare regulations and guidelines. Medical billing and coding are increasingly important aspects of our healthcare system, and your work will play a critical role in keeping office operations running smoothly for practitioners and patients alike. If you would like to learn more about the types of opportunities that are currently available, search for medical coder or medical biller openings on iHireMedicalSecretaries! AAPC – What is Medical Billing? 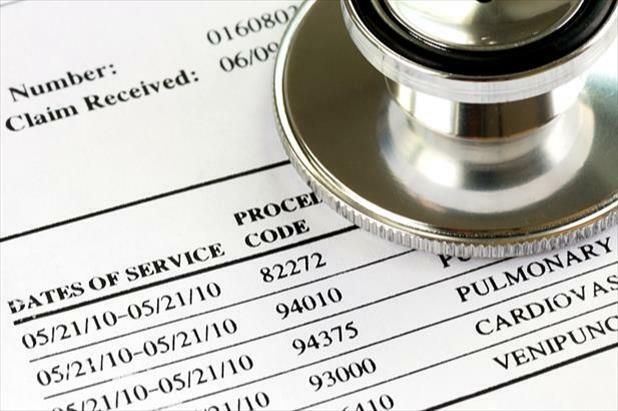 Sanford-Brown Blogs – Medical Billing vs. Medical Coding: What Career Should You Choose?